On November 3rd, 26-year-old Liz Rose became the youngest Canadian to climb all Seven Summits of the world after she scaled Mt. Kosciuszko in Australia. The young mountaineer began her quest only two and a half years ago by first climbing Mt. Kilimanjaro, then Argentina’s Aconcagua, Everest from the North Side in Tibet, Antarctica’s Vinson, North America’s Denali, and Russia’s Elbrus all followed. 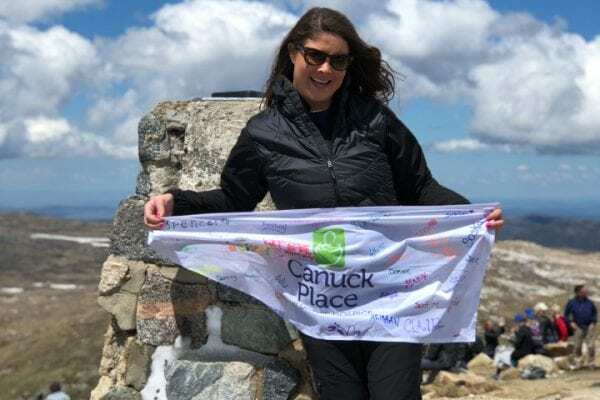 Liz did not take on the challenge of her final climb simply for the thrill – her final summit at an elevation of over 7,000 feet had an added purpose, with the goal of raising money and awareness for Canuck Place Children’s Hospice. Rose brought a Canuck Place flag with her to the top of Mt. Kosciuszko, emblazoned with the signatures and wishes from children and families at Canuck Place. Liz has an ambitious goal; to raise over $200,000 for Canuck Place. When you donate to her support fundraiser to support programs like recreation thereapy, The Rose Family Foundation and Friends have committed to match every dollar up to $100,000 raised.